Here are a few games that you can play at your Valentine's party. Some are great for children's parties and some are geared more to adults or teens. Suggestions for prizes might be some homemade cookies or a ribbon for the teams or you could recycle an old trophy for your party. This game is played just like the game name that tune. You will play only the first few bars of a song and players have to figure out what the name of that song is. You can even divide your guests into teams. First team to guess 5 out of 10 songs wins. When guess arrive pin the name of a famous movie lover on their backs. They then have to go around and ask other guests questions to figure out who their character is. First one to guess their character wins. You might use Rose and Jack from Titanic, Romeo and Juliet, etc. just to name a few. For children, you could use famous cartoon couples like Fred and Wilma, Mickey and Minnie Mouse, Donald and Daisy Duck. You could also use TV couples or celebrity couples like Brad and Angelina or Tom Cruise and Katie Holmes. This is a wonderful ice breaker. Out of red construction paper, cut some big red hearts and line them up in a row. You will want to do one less then your number of guests. Play music and when you stop it, each guest must step up and occupy a heart. The person that does not have a heart is out. Remove another heart and so on until you have a winner. This is a game that everyone loves to play. You can play it one of two ways. You can fill a jar with candy hearts and have everyone guess how many there are or you can cut out hearts and decorate your room with them and then have everyone guess how many hearts there are. If decorating your room with hearts, make sure that you make them big and small so and use lots of them. 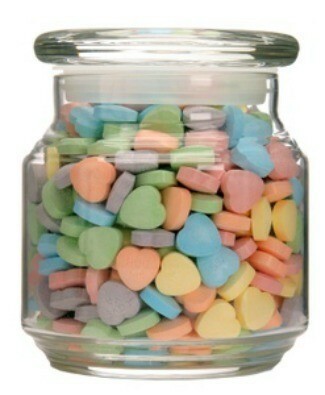 If doing the jar of candy hearts, use an odd shaped jar, something pretty that makes it harder to figure out how many. The jar of candy can be used as the prize. Cut pictures from old magazines (People is a great one) and paste to cardboard. Lay them out on a table. Give each guest a piece of paper and pencil and have them name as many as they can in 30 seconds or one minute. The person with the most correct answers wins. You could also do this with cartoon characters for the younger set or teen idols for teens. Great as Wedding shower games too!